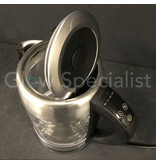 A cup of coffee, tea, hot chocolate or a cup-a-soup? 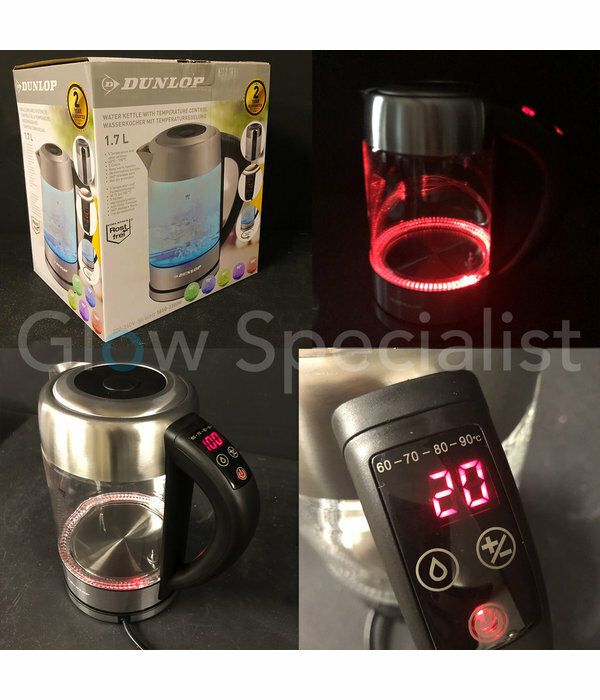 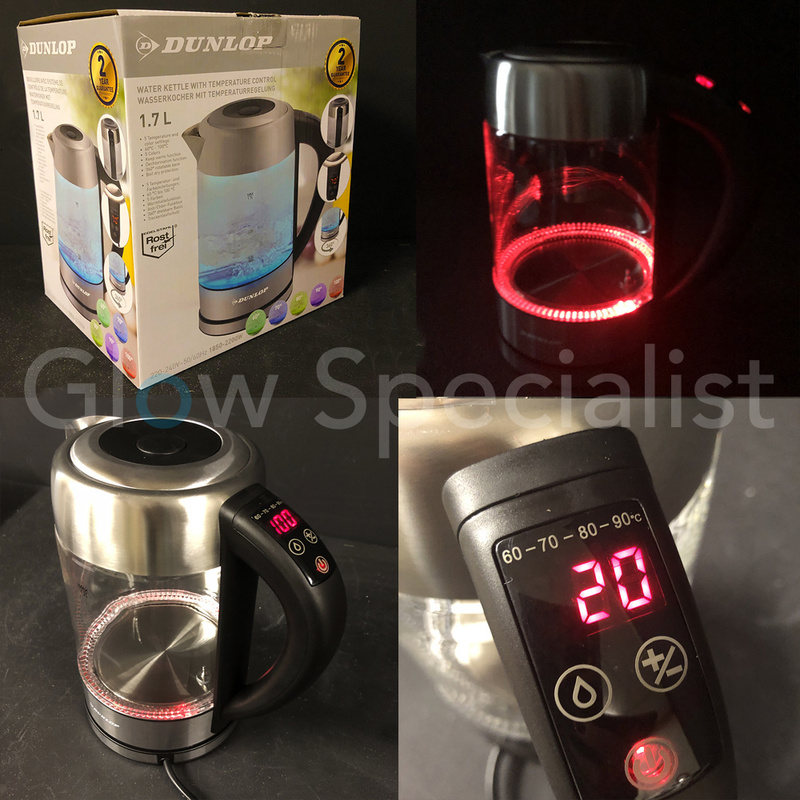 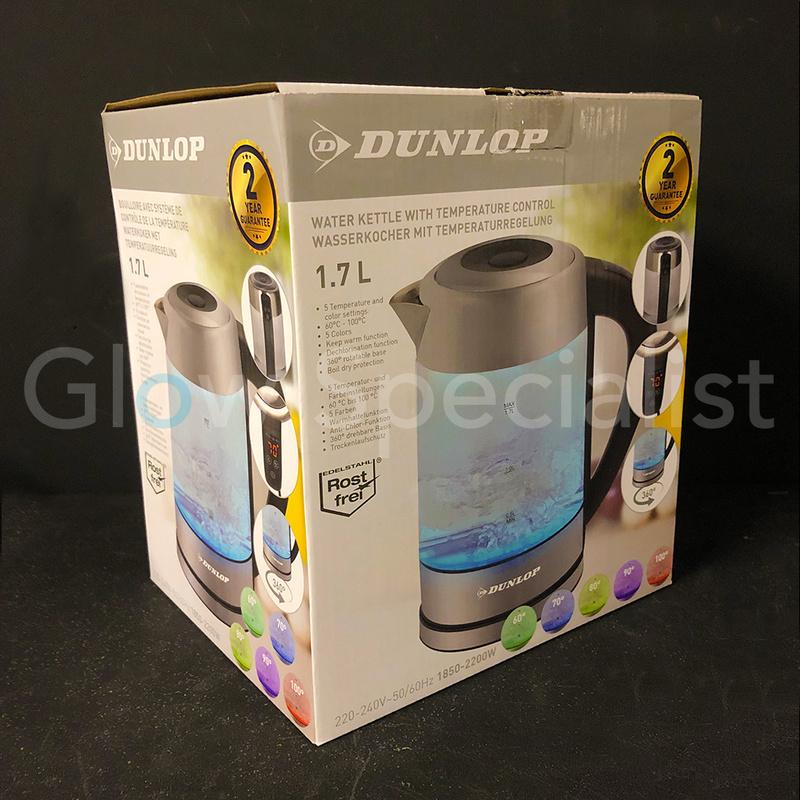 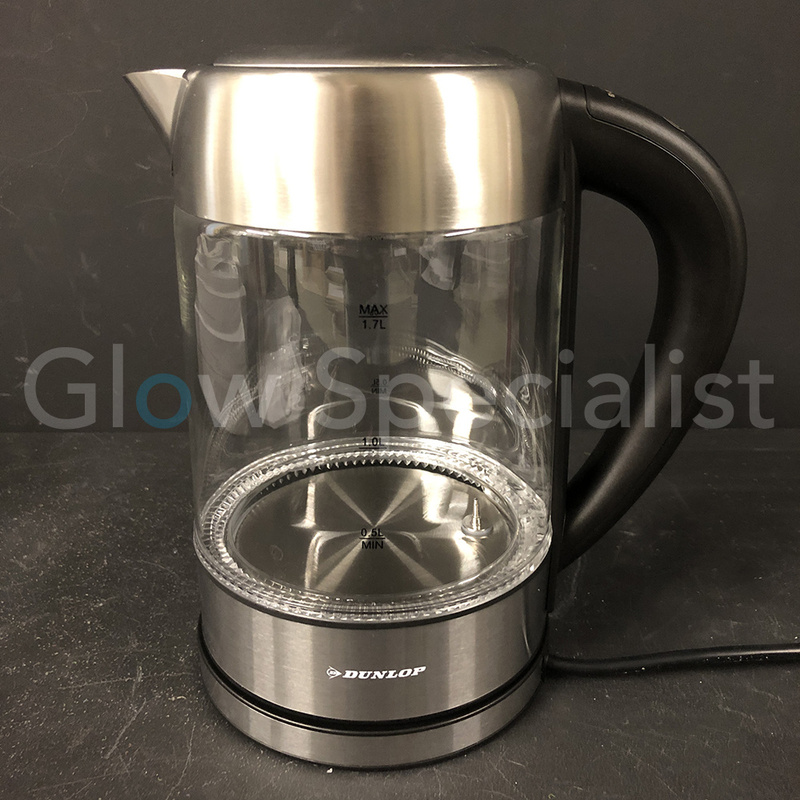 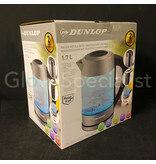 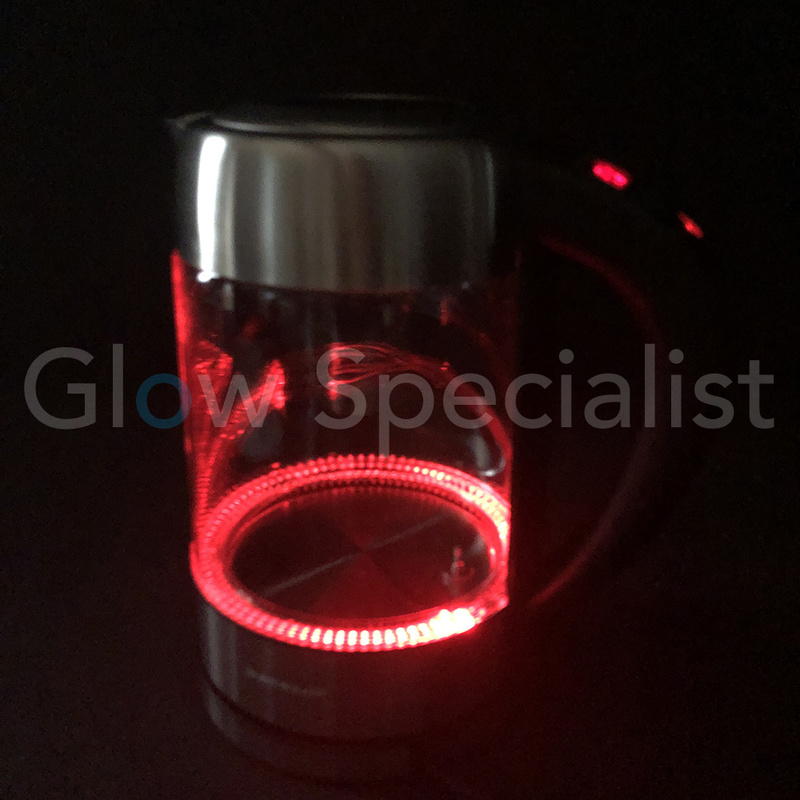 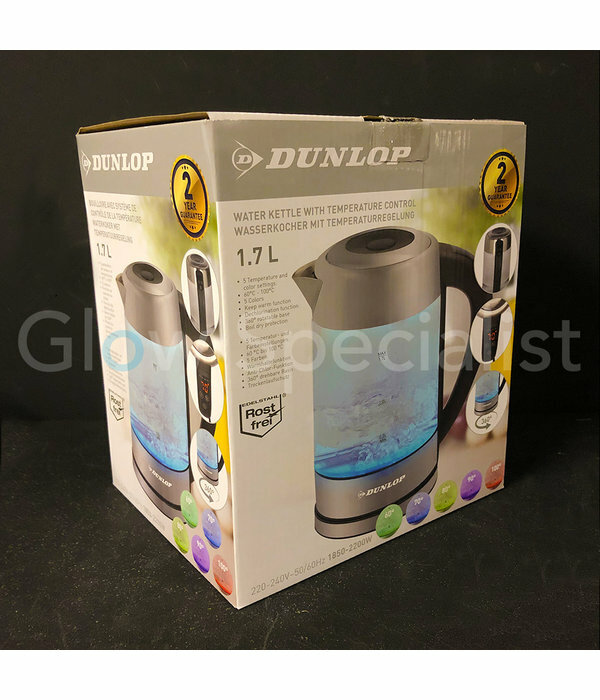 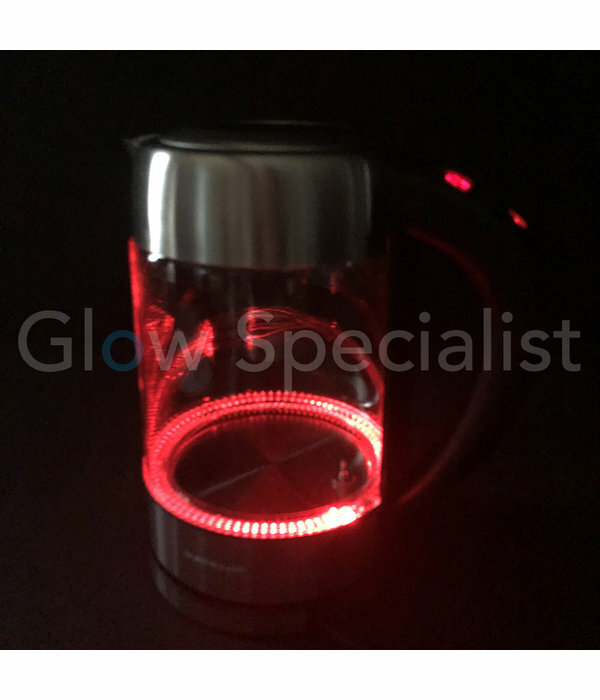 It's all possible with this glass designer kettle with LED lighting from Dunlop, an absolute eye-catcher in the kitchen with a whopping 1.7 liter capacity! 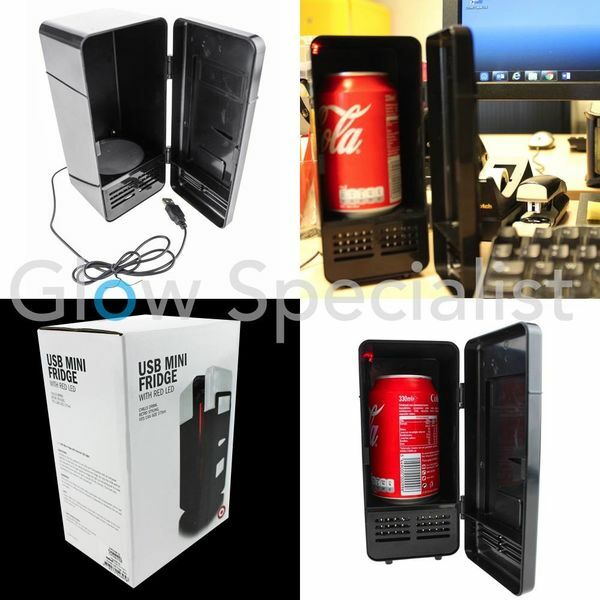 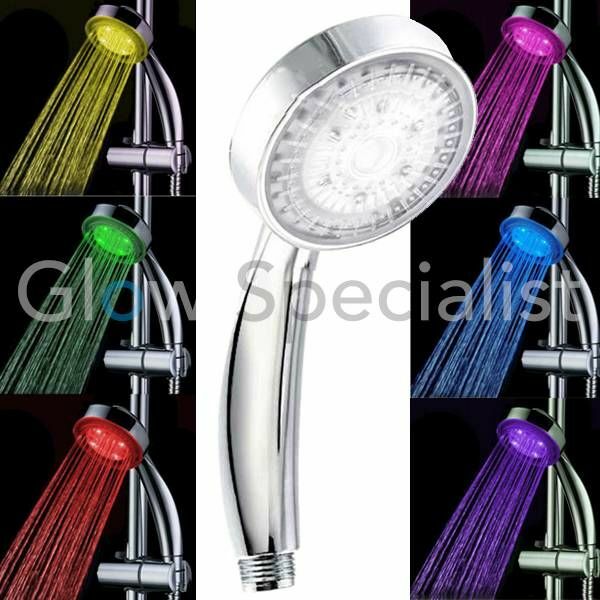 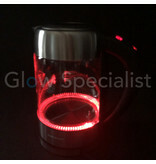 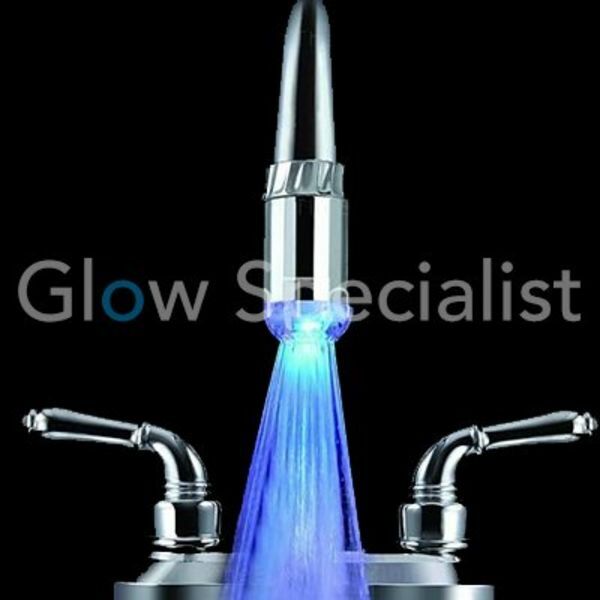 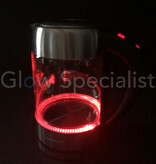 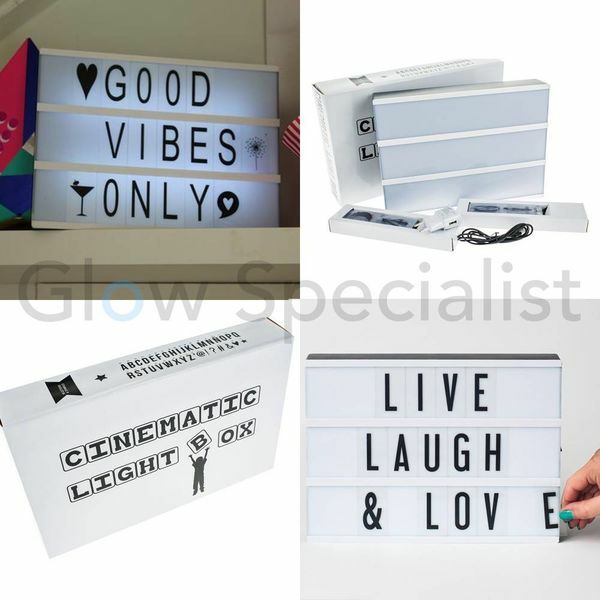 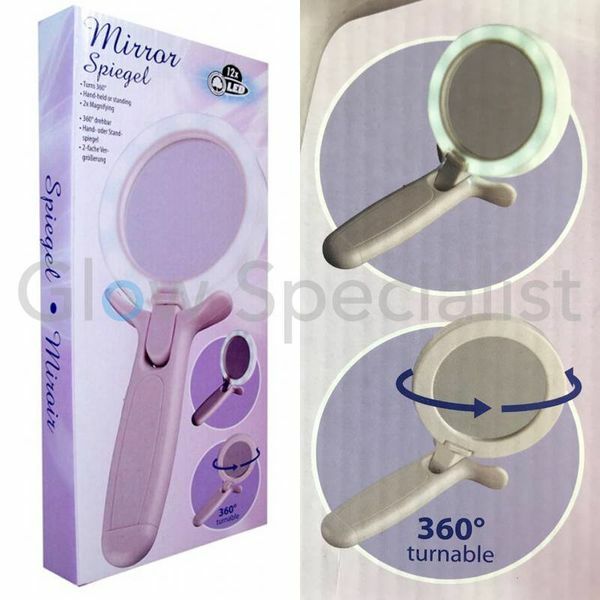 Equipped with Color changing LED light on the inside with 5 temperature and color settings. 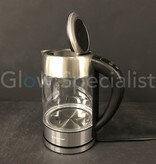 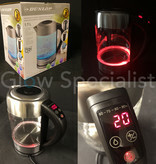 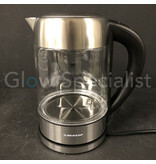 With this kettle you can also keep the water at the same temperature for 2 hours. 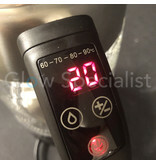 If you set the tube to 60 ° C using the plus / minus button, the LED indicator light turns green. 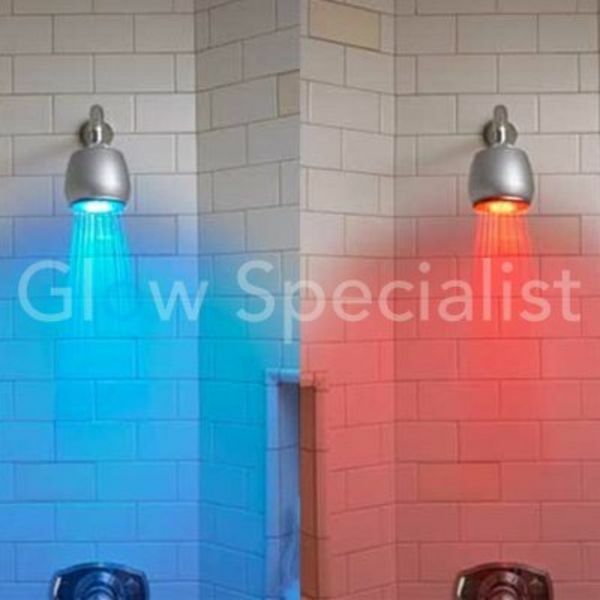 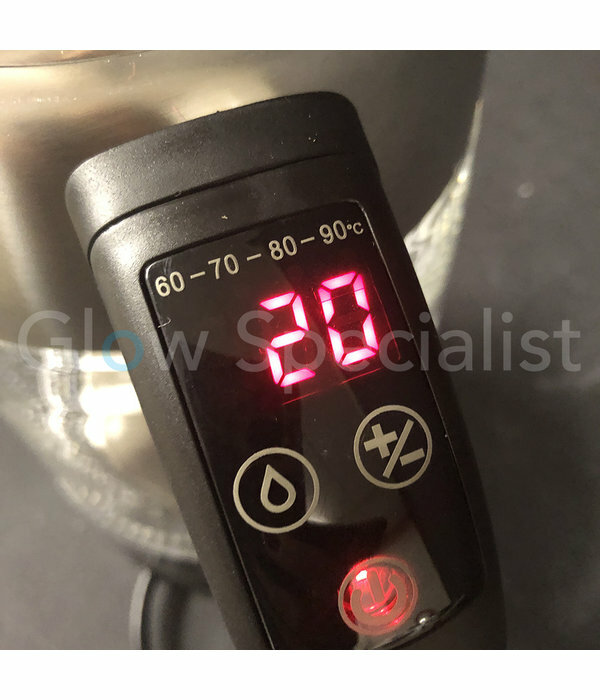 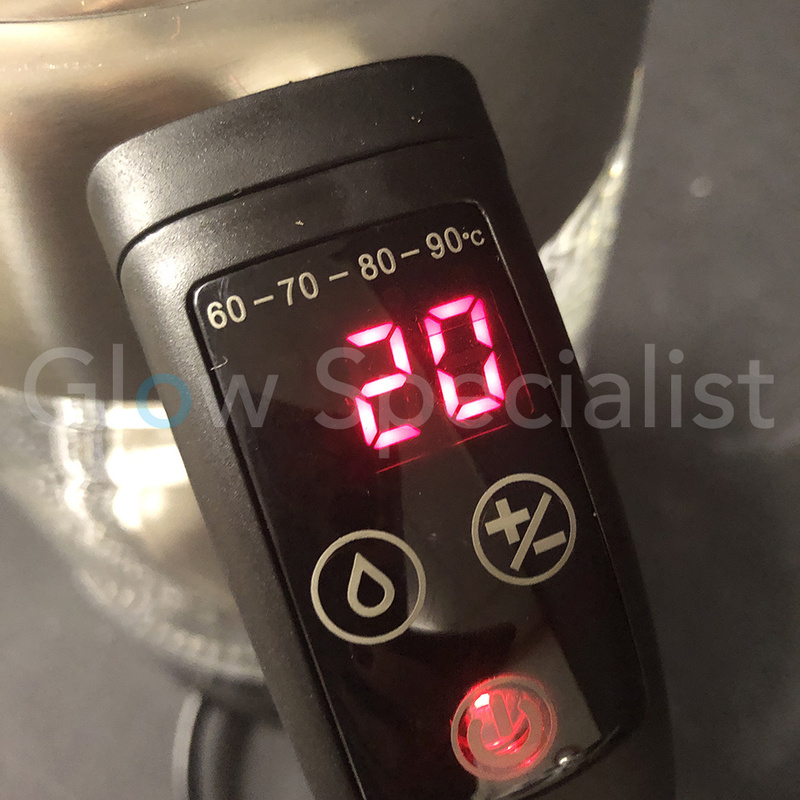 This means that if, for example, the water temperature was 50 degrees, the water will heat up to 60 ° C. This will continue for 2 hours and the boiler will give green light. 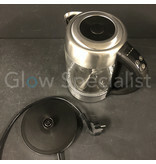 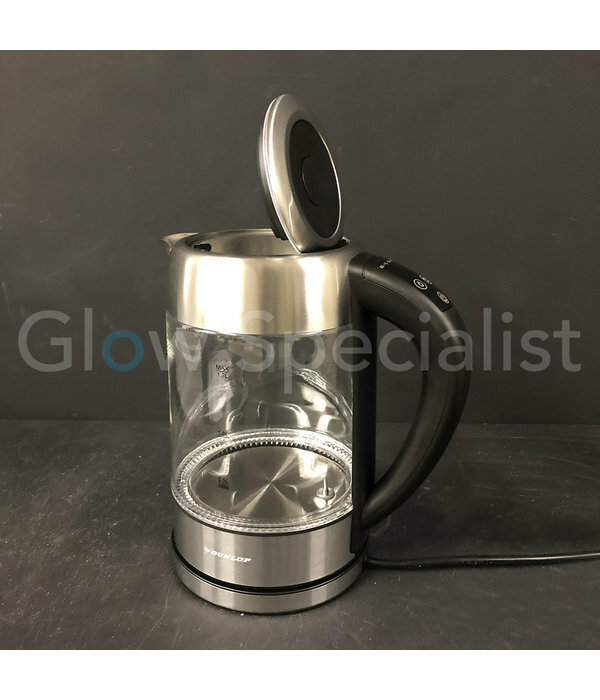 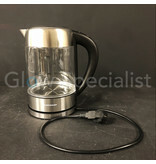 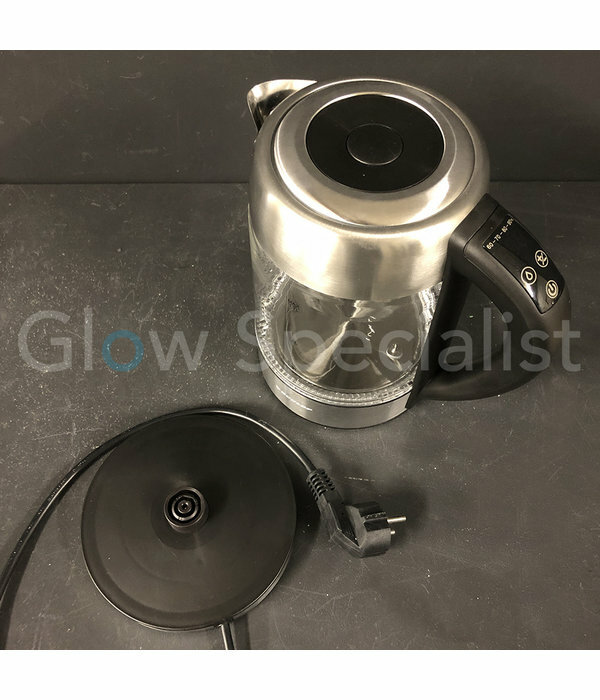 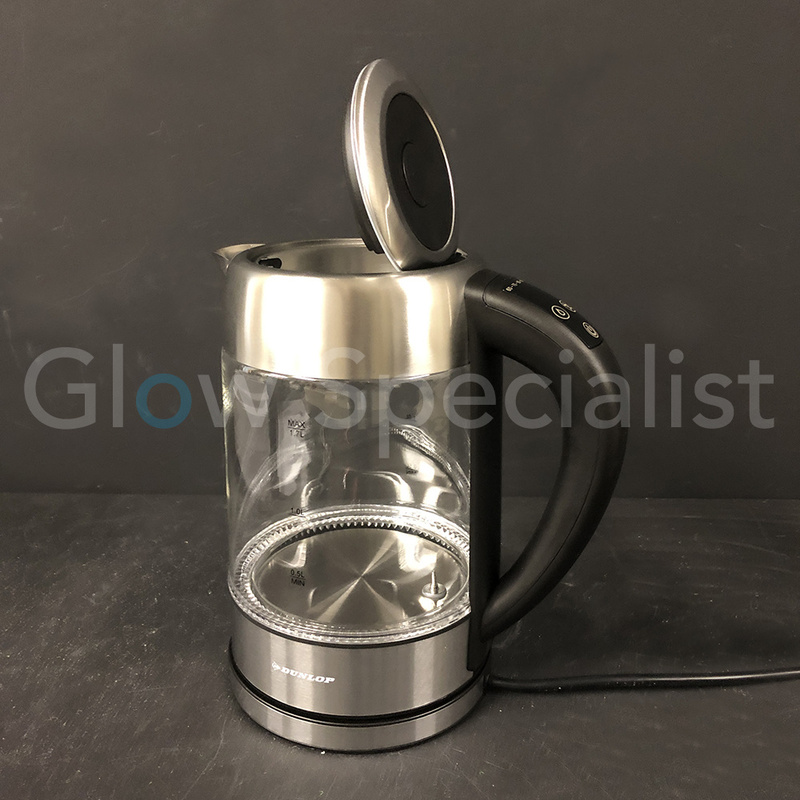 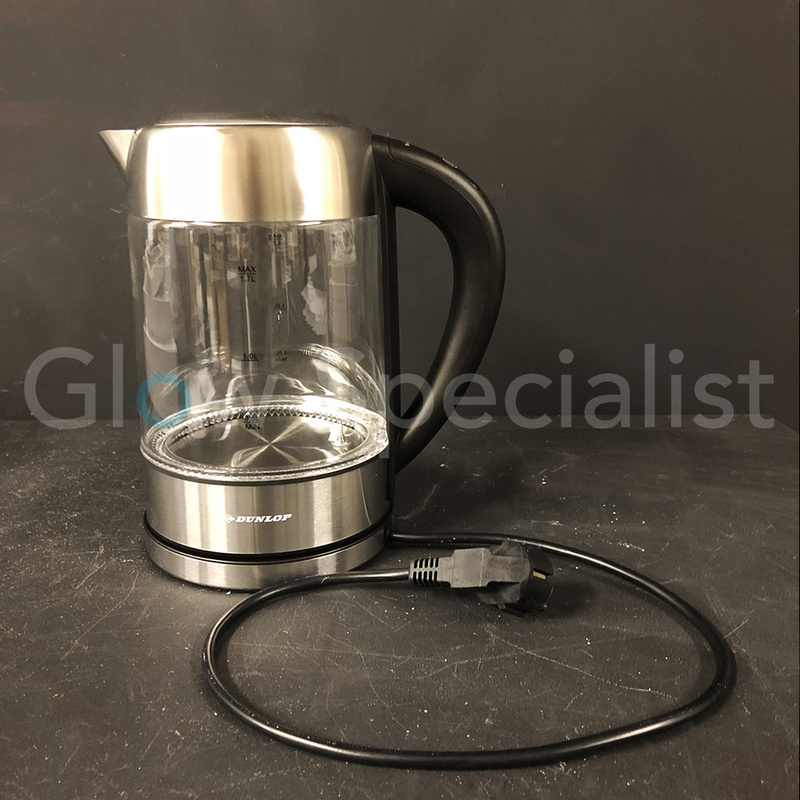 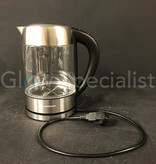 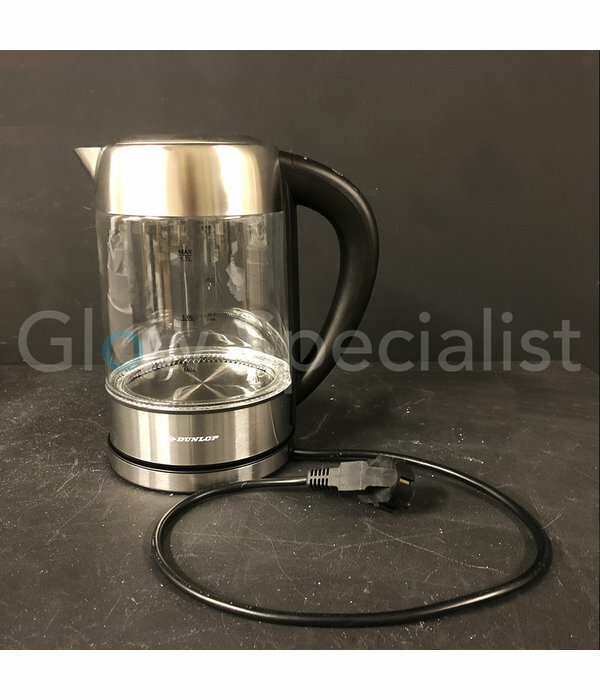 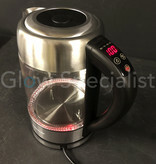 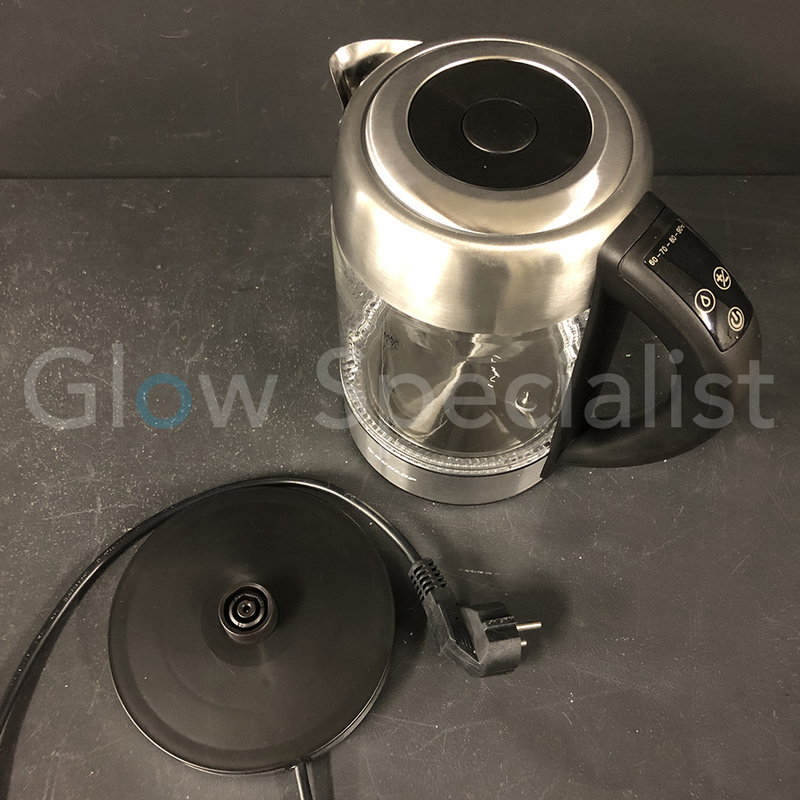 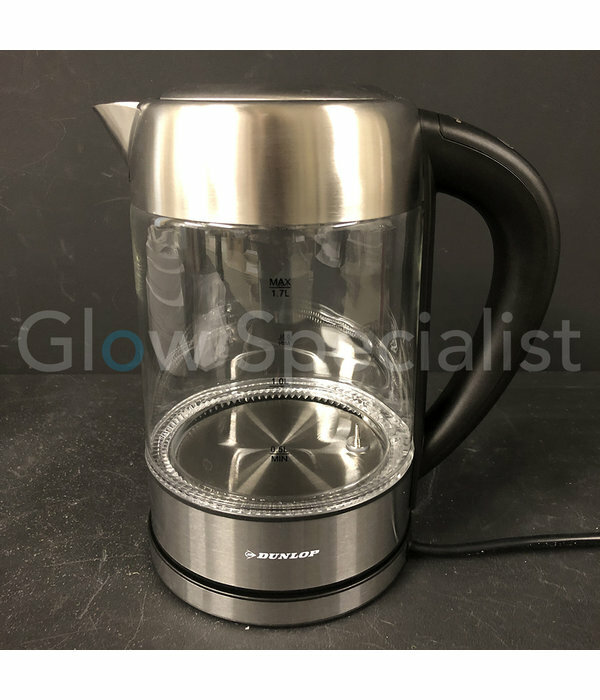 Due to the rotatable pirouette connection, this kettle is suitable for both left and right-handed people.